The Hong Kong Trade Development Council (HKTDC) is pleased to have received two major awards from the International Economic Development Council (IEDC). 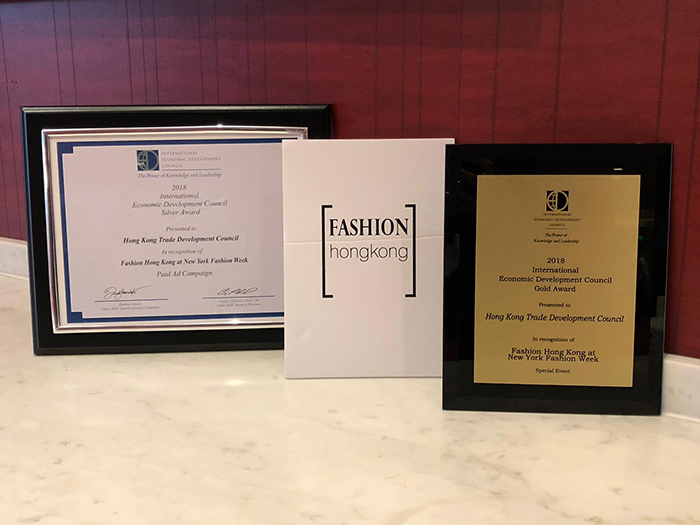 The Gold Excellence in Economic Development Award in the Special Event category and Silver Excellence in Economic Development Award in the Paid Advertising Campaign category both honor the HKTDC’s Fashion Hong Kong campaign at New York Fashion Week. The awards were presented at a ceremony on Tuesday, Oct 2 at the IEDC Annual Conference, which was held Sept 29-Oct 3 in Atlanta, Georgia. 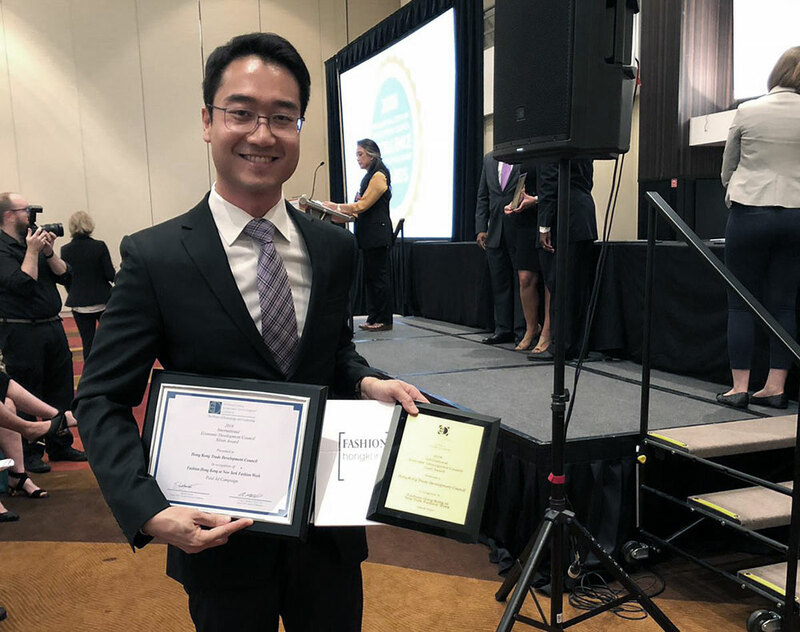 “We are honored to receive these two awards from such an august body as the IEDC,” said Anthony Mak, HKTDC Director for New York. 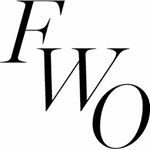 “Fashion Hong Kong at New York Fashion Week is an extensive marketing program that includes runway shows, business meetings, market visits, media interviews, and post-show receptions. The project brings economic benefits to both the US and Hong Kong by creating jobs and fostering business development in the fashion and creative industries. The Fashion Hong Kong campaign tactically promotes brand awareness for the event through selected media channels and social media platforms in the US market. Over time, this strategy has built a consistent image of Hong Kong as a trend-setting hub for fashion,” he added. Fashion Hong Kong is an integrated and comprehensive campaign to promote Hong Kong designers and labels in the global fashion arena. It showcases Hong Kong’s fashion creativity and explores business opportunities for Hong Kong designers in the international marketplace. Held annually at New York Fashion Week since 2016, Fashion Hong Kong has brought nine fashion collections and 35 accessories brands to the event. “This year our judges reviewed some extraordinary projects that advanced both communities and businesses,” said Craig Richard, 2018 IEDC Board Chair, and President and CEO of the Tampa Hillsborough Economic Development Corporation in Tampa, Florida.